Finally! It took a little extra work but it's all checked in. 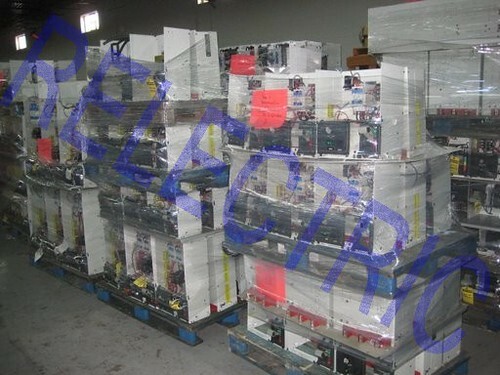 Fresh off the truck Relectric has just received a nice lot of Cutler Hammer Advantage series Motor Control. The Advantage series offers microprocessor based technology for motor control along with Eaton's high quality in manufacturing and service. This lot featured a variety of bucket sizes, numerous starter sizes, along with HFD, HJD, and HMCP breakers. I will list a few of the items below. If you have any interest just click the link and you can get one! Thanks for looking and see ya next time!